Plot: There are hard jobs, there are jobs that seem outright impossible, but in the end, the most difficult job in all creation probably belongs to Hozuki, Hell’s hardest working bureaucrat. That’s because Hozuki is Deputy Chief to Enma, the King of Hell. 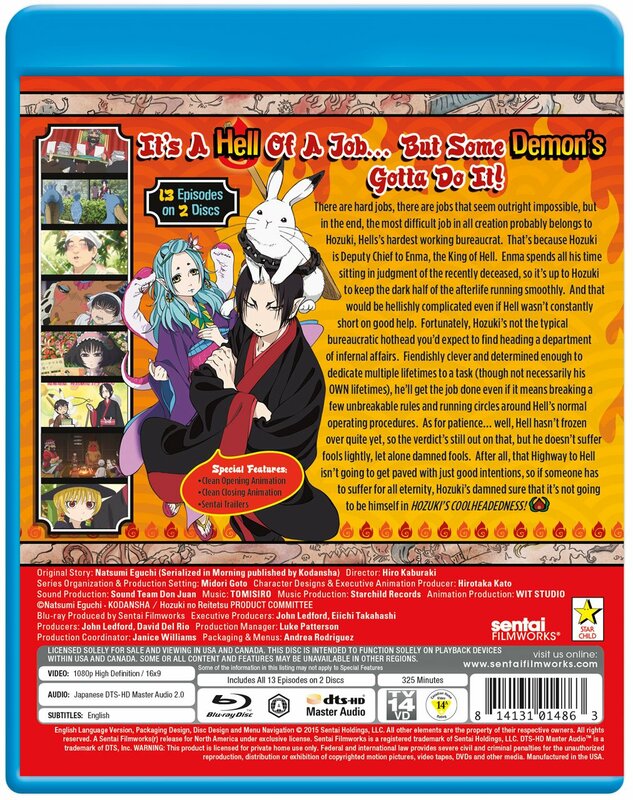 Enma spends all his time sitting in judgment of the recently deceased, so it’s up to Hozuki to keep the dark half of the afterlife running smoothly. And that would be hellishly complicated even if Hell wasn’t constantly short on good help. Fortunately, Hozuki’s not the typical bureaucratic hothead you’d expect to find heading a department of infernal affairs. Fiendishly clever and determined enough to dedicate multiple lifetimes to a task (though not necessarily his OWN lifetimes), he’ll get the job done even if it means breaking a few unbreakable rules and running circles around Hell’s normal operating procedures. As for patience… well, Hell hasn’t frozen over quite yet, so the verdict’s still out on that, but he doesn’t suffer fools lightly, let alone damned fools. 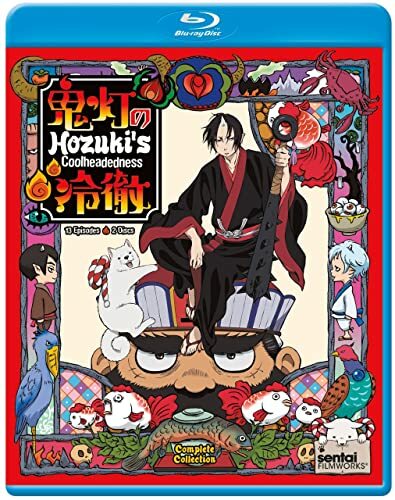 After all, that Highway to Hell isn’t going to get paved with just good intentions, so if someone has to suffer for all eternity, Hozuki’s damned sure that it’s not going to be himself in HOZUKI’S COOLHEADEDNESS!